This week is a top ten freebie week, which is always exciting! I talk about fiction books 90% of the time over here, so I decided to branch out and talk about some of my favourite non-fiction books this week. I don't read a huge number of non-fiction books - I'm very picky - but I have some firm favourites that I love returning to. Funny, moving, and some exquisite travel books, this list has a little bit of everything! 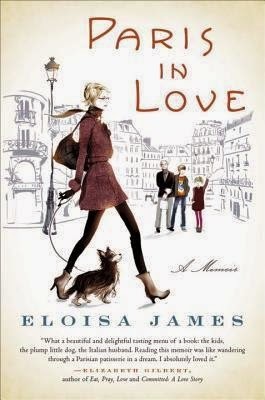 Eloisa James and her family uprooted themselves for a year from America to Paris, and this book is a collection of events, memories, musings and snapshots of living in the capital of France and the unexpected beauty you can find in a strange city. This book helped me in my own transition and reminded me to look for the beauty in the little things and to appreciate the incredible experiences on offer. Written in little bite size chunks, this is a wonderful book to dip in and out of. I have never laughed so hard when reading a book. I genuinely thought I might have cracked a rib at one point. When reading this on lunch breaks at the office I had to remove myself to my car to read because of the weird looks I received... This book is a masterpiece, and Lawson's humour is unparalleled. An incredible account of her life, this book is insane, brilliant and hilarious. I discovered this book whilst researching for my non-fiction writing module at university and was utterly engrossed from the very first page. Belle's writing is blunt, compulsive and intriguing. Utterly filthy and incredibly factual. This was my first real foray into non-fiction writing and I absolutely loved it. Infinitely better than the tv show they made from it, this is an eye opener of a book. When Baxter fell in love with a French woman, he moved to Paris to marry her. Her family set him the ultimate test - to cook Christmas dinner for the family of eighteen. The book follows his year long adventure collecting recipes, travelling France and making some truly outstanding food. This is a feast of a book, delving into an incredibly important element of life in France - the food. For anyone who is living, is going to live or who has lived in France, this book is a must read. 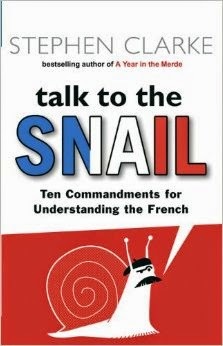 Funny, bitingly true and full of useful tidbits of information, this book helped make the transition to living in France easier and provided me with a lot of insider information I never would have learned otherwise. Also a find for my non-fiction module, I have very vivid memories of reading this curled up in front of the fire drinking copious amounts of tea whilst having my heart slowly broken. It was beautiful, terrible, brilliant and heart breaking. One woman's account of how her life fell apart when her husband died, and then shattered when she discovered he had a long term mistress. This is a quiet and tragic book. 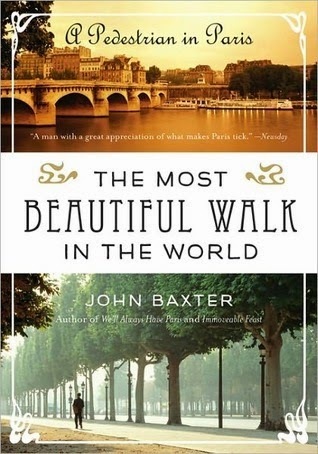 Another book from Baxter, again set in France, but this time exploring Paris by foot. 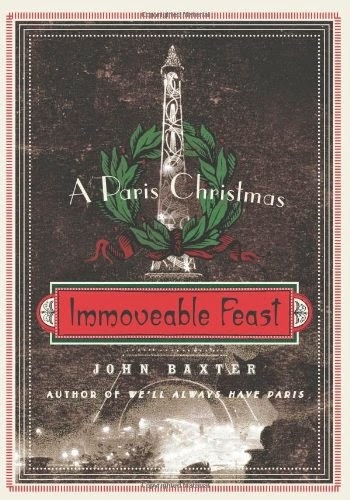 Paris is an incredible city and Baxter explores it in ways that most people would pass by entirely. Whether you're preparing for a trip to Paris, or simply want to explore the city in the pages of a book, this is a gorgeous book filled with the elegance of Paris and a plethora of stories that have unfurled within its streets. A collection of non-fiction by Terry Pratchett, this book dips back and forth in time and writings and is an absolute must for Pratchett fans. His writing is fantastic, regardless of whether he is taking you through Discworld, or talking about his process. This is a wonderful collection of pieces. 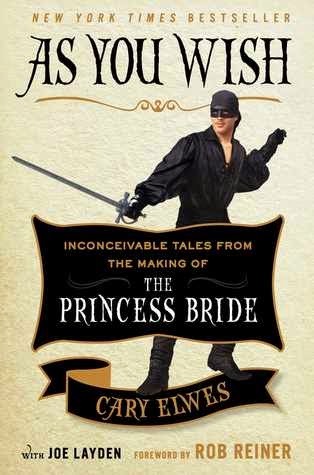 If you love 'The Princess Bride' this is a must read. Twenty five years after the film was made, Cary Elwes has collected together tales from the majority of the cast of filming this incredible cult classic. A book infused with love and adoration for each other and the source material, this is an incredible book that will make you fall in love with the film all over again. This was such a big part of my growing up. 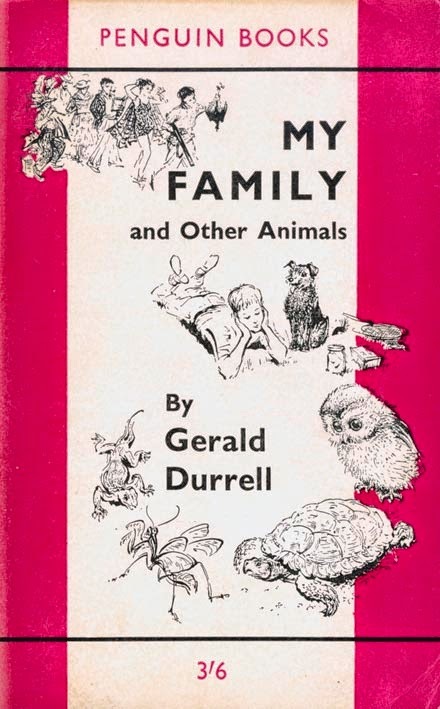 My Mother used to read it to me (and she did all of the voices) and I have incredibly fond memories of listening to the Durrell family's exploits. It's an absolutely incredible and wildly funny book that I love going back to again and again. So those are my top ten non-fiction books. Are you a fan of non-fiction? Or are you tempted by any of these? 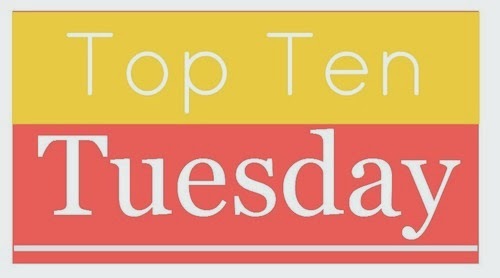 Let me know in the comments below and link me to your own top ten lists! Ooh. I'm not a big reader of non-fiction (understatement!) but even I am intrigued by the Terry Pratchett and Cary Elwes books you've mentioned! If you've seen and loved The Princess Bride film then Cary's book is a must read, I loved it. I'm not usually one for non-fiction but every now and again I will find something brilliant. There are two different categories of non-fiction I always find myself reading: true crime or books written by comedians. I absolutely loved In Cold Blood by Truman Capote, arguably one of the most famous non-fiction books written. Amy Poehler's Yes Please is brilliant too! Bios are always fascinating, I shall check out your recs, thank you! I'm usually a fiction girl, but sometimes it's interesting to branch out and find something a little bit different. Thank you so much for reading! WHAT INSANITY IS THIS?! It's a CLASSIC, you can't remake it. It is PERFECTION AS IT IS. I would be so upset if they remade it, it is absolutely perfect. A remake wouldn't do it justice! I could continue ranting like this for some time, so instead I'm just going to say read 'As You Wish' it is such a gorgeous tribute and has so many wonderful little behind the scenes anecdotes! Such a good book! I'm always happy to see people reading nonfiction. Thanks for this list of your favorites! Here's mine: Best Moving-and-Starting-Over Books! I love fiction books, but I love mixing in some non-fiction too and it always saddens me that more people don't take a look at the variety of non-fiction books out there. Thank you so much for reading. I do actually read a lot of non-fiction, but most of what non-fiction I read is on social science rather than autobiographies etc. 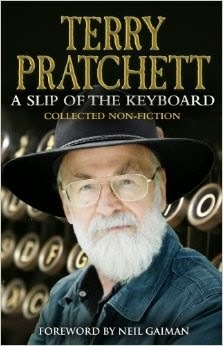 I did read George Takei latest autobiography though, and I've been meaning to check out A Slip of the Keyboard by Terry Pratchett forever. Really recommend the Pratchett. I tend to do an odd mix of non-fiction in amongst the fiction but it does tend to steer towards bios above anything else. Thanks so much for reading! I read non fiction here and there and it is mostly memoirs. Let's Pretend This Never happened has been on my radar for a while so it seems like I need to get to it. The first and third sound interesting so may have to check them out too. Great topic and list! I loved it and frequently ended up crying with laughter! I definitely recommend giving it a go and I hope you enjoy it! 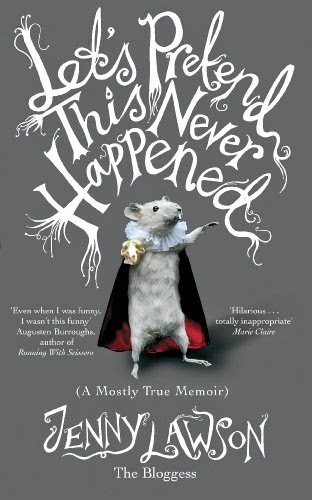 I've been meaning to check out Let's Pretend This Never Happened! Is the Secret Diary of a Call Girl adapted from The Intimate Adventures of a London Call Girl? I thought the tv series was pretty interesting but it was kinda superficial. Thanks for dropping by Bursting Books ! Yes it is! I read the books before watching the show and I was quite similar, it was enjoyable but nothing particularly great. The books however, were fantastic. Definitely an eye opening read! Let's Pretend This Never Happened is hilarious, I absolutely love Jenny's writing style. Definitely recommend both of them! I'm going out to find a copy of Let's Pretend This Never Happened. I love the crazy feeling of laughing out loud in a public place - like the bus :) I love Bill Bryson's Non Fiction for the same reason. This book will definitely give you all the laughing in all the inappropriate places! I hope you enjoy it! I haven't read nearly enough non fiction. So thanks for choosing this topic. I appreciate the recommendations. Happy reading! Thank you so much for reading, I hope you enjoy any that you pick up! Hah, for some reason I never thought about Durrell books as non-fiction, but I guess they are :D I love his writing! All of it :) And isn't the call girl book the one they based the British TV on with Billie Piper?... It sounds familiar. Yes, the tv show was based off the books. Very loosely based... The show was fun enough but the books are very good and much more interesting. Durrell is walking the line of fiction and non-fiction - he definitely makes non-fiction fun! I love his books! I barely read nonfiction and when I do, it's usually depressing war memoirs but "Paris in Love" and "The Intimate Adventures" sound so interesting and slightly more light-hearted. Both of these are definitely more light-hearted. Intimate Adventures is quite an eye opener of a read, and Paris in Love is such a wonderful, funny and beautiful look at living in Paris for a year. I'm not so good with depressing non-fiction, but I cannot recommend these two enough! I don't read too much non-fiction but I can't wait to read Cary Elwes' book! The Princess Bride is one of my favourite books/films! Another Princess Bride fan! I love finding fans of the book and film alike. It's my favourite fim, I adore it, and the book by Cary is such a wonderful continuation of that looking at the filming and filling in lots of behind the scenes stories. I hope you enjoy it! I REALLY want to read As You Wish. A friend of mine met Cary Elwes and she said he's super nice. I don't branch out into non-fiction as much as I should, but this is a great list to refer to. Great topic choice! Thanks for stopping by Michelle's Minions! Gah! I would LOVE to meet him! He seems like such a genuinely nice guy (actually all the cast seem like lovely people) and the book is such a wonderful tribute to the film. I hope you enjoy it! I'm very selective about the NF I read, but I love sharing the ones I fall in love with! I really hope you enjoy any you pick up, especially As You Wish - a gorgeous tribute to a truly amazing film. I've been meaning to read As You Wish for a while now. I loved the Princess Bride and am curious to hear more about its production. Was the book at the London call girl the basis for the Billie Piper series? The book is wonderful, and a great companion piece for anyone who loves the film. So many side stories and anecdotes! Plus the dust jacket has some gorgeous artwork inside which I loved! Yes it was! The tv show took the vague concept and ran with it, and whilst it's entertaining it wasn't nearly as good as the books which were definitely an eye opening experience to read! What a great list. I'm sure I've owned but not read No.2 and 3. I definitely want to read As you Wish - thanks for that. Thanks :) As You Wish is fantastic, I hope you enjoy it! Both Intimate Adventures and Let's Pretend this Never Happened are brilliant but very different books! I must admit I'm not a huge fan of non-fiction but the mood does take me on occasions, and I'll be sure to check back here first to see what to pick up! I think it will take a very, very long time for that particular sorrow to ease :( Her adventures in Paris are fantastic, and they really helped with my own move to France. It's such a fantastic book do dip in and out of. Thank you so much for reading! Let's Pretend This Never Happened is hiding somewhere in my massive 'to be read' pile and I have The Most Beautiful Walk in the World on my reading wishlist. Nice list of books in your post!! I hope you enjoy them both when they reach the top of your to read pile! Thank you so much for reading! I read nonfiction for my freelance job, so I don't read a lot of it for fun. But I do love Bill Bryson's books; he's funny and always interesting. I'm particularly fond of At Home and One Summer. Next I'll probably listen to Notes From a Small Island. And I should check out your Eloisa James book! Bill Bryson's are fantastic, there should really have been some of those on here too! I hope you enjoy Paris In Love! Ah the Cary Elweses are the exception to most rules ;) I also really recommend the audiobook of 'As You Wish' - Cary himself reads it, and it is utterly divine to listen to his voice recount the tales! Great topic! I don't read much of non-fiction, hardly ever actually. I like these kinds of lists because it gives me some recommendations. Thank you for sharing! I'll look into some of these books. Non-fic tends to get a bad rep as being boring or depressing, but I've made sure most of the ones on this list are a bit more entertaining and fun! I hope you enjoy any that you pick up! Ugh, I really need to read Let's Pretend this Never Happened already. Looks so funny. Thanks for stopping by my TTT! I have never laughed so hard over a book before! I really hope you enjoy it! I'm so excited for it! I can't wait to read more from her! Non-fiction is a genre I definitely need to read more of, this is a great list of recommendations! The Intimate Adventures of a London Call Girl sounds great! Non-Fic doesn't tend to get the same attention as fiction, which is a shame because there are some really amazing, funny and brilliant books out there. I hope you enjoy any that you pick up from the list! These all look amazing! I'm irritated that I haven't read Let's Pretend this Never Happened yet when she has another coming out quite soon! Her blog frequently has me in tears - both of laughter and from being moved. I'm also dying to read As You Wish! 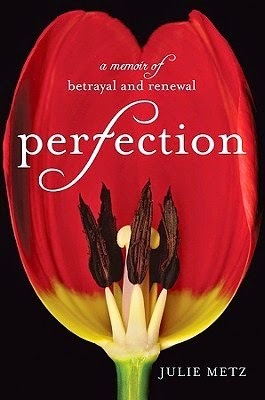 One of my consistent favorite non-fiction writers is Mary Roach - if you've not read anything by her, give her a shot! Ooo I shall do, thank you so much for the rec! Oh her blog is incredible. The only problem is I tend to catch up on it in the middle of the night when I can't sleep, at which point I end up waking Husband up from laughing too hard! I first found her with her giant metal chicken post and have never looked back! This is a great list! I am not typically into nonfiction, but some of these sound really interesting. Paris in Love sounds really interesting. I love Paris. It is one of my favorite cities. I have had As You Wish on my TBR for a while. I love the movie The Princess Bride so much! I'm very selective about my non-fiction. Paris in Love is fantastic. Bite size chunks, beautiful and frequently funny, Eloisa's take on the city was wonderful to read. I read it just when I was moving to France and it really helped me to stop feeling perpetually homesick and like a fish out of water and to take note of the little things, the wonderful things that make France an incredible place to live. I am loving how many Princess Bride fans are popping up with this post! Can't recommend it enough, it's so wonderful to hear all the little back stories to the making of the film! I hope that any you pick up off this list you enjoy! :) Thanks so much for reading! Thanks so much, I hope you enjoy any you pick up! Thanks so much! I hope you enjoy any you pick up!